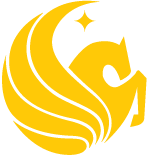 Students who are completing Honors in the Major and graduating from UCF are required to complete an "Honors in the Major Intent to Graduate Form" when they file their official intent to graduate with their academic college(s). This form is necessary to ensure that Honors in the Major students are properly certified for the completion of the program on their diplomas and final transcripts. This form is also used to send student invitations to the Honors Graduation Banquet. Please Note: The Honors College only offers a Fall and Spring Graduation Banquet. If a student is graduating in the Summer term and would like to attend the Honors Graduation Banquet they must participate in the Spring Honors Graduation Banquet. Student must provide his or her Summer Intent to Graduate early to receive the Banquet invitation. Students should type directly into the intent to graduate form and obtain all necessary signatures (with the exception of the Director of Honors Research) prior to submitting this form to the Burnett Honors College. Students who are defending and completing their thesis prior to their semester of graduation should wait to file their Honors in the Major intent to graduate form until their actual graduating term (unless they are graduating during a Summer term). The Honors in the Major Intent to Graduate form requires the signatures of the thesis chair. Electronic signatures are acceptable. Students can create a free account at: www.hellosign.com. The eSignature site will allow students to obtain an unlimited number of signatures for up to three documents per month/ 30 days. While there are other electronic signature programs students may utilize, we recommend this program because it is free for up to three documents and it is a secured site and process. If using hellosign.com please ensure signers are assigned in the correct order: first signer, Student; second signer, Thesis Chair; final signer, Honors Research Director. Signed forms should than be sent via email to honorsresearch@ucf.edu or dropped off at Trevor Colbourn Hall 248. For more information on the Honors Graduation Banquet visit here.